Car shopping is one of the toughest experiences, and most consumers dread it. After shopping, most car buyers just look back and wonder was there not an easier way to narrow the choices down? Is there a better, more time efficient way to shop for cars? Car shopping is getting easier and easier, in fact, it’s kind of gone digital! Now, not all car dealers have great websites, it’s all about a budget and how tech-savvy their marketing is. However, I have uncovered a fantastic site car shopping experience and truly want to share it with you. 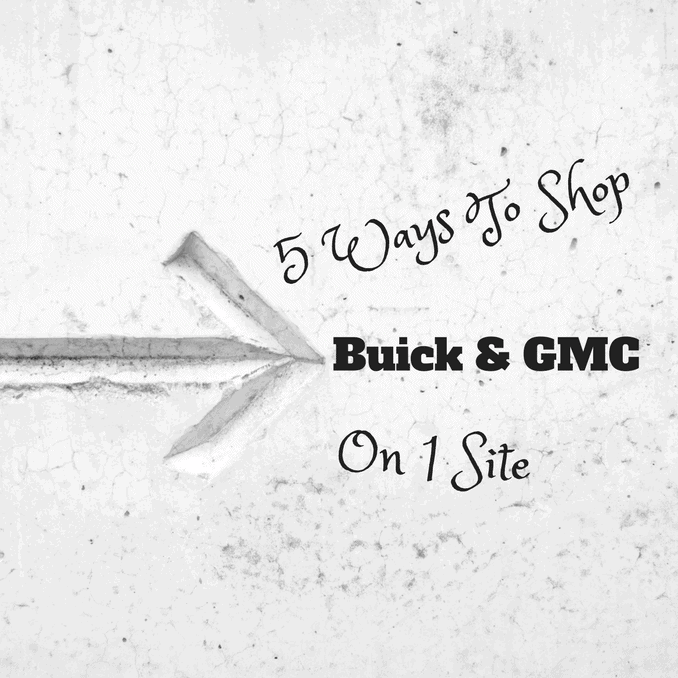 What if I could show you 5 ways to shop Buick and GMC on 1 site? Crazy cool right? Let’s shop for Buick’s and GMC’s it’s so easy and fast! Today’s post is sponsored, however, content is my own based on car shopping and being a car enthusiast seeking the best of the best. Today’s world is all about hands-on convenience and the faster we can find answers the happier we are right? Today, I can’t wait to share 5 ways that you can shop for Buick and GMC on 1 site and get the answers you need fast! What if you could just put in the Buick or GMC of your choice and search for the inventory available? That’s easy and you can. Look at this Buick and GMC online site! Talk via chat and learn about possible GMC and Buick options at the local dealership. This is easy to do and requires a few taps of the mouse! For those who have ever headed to a local dealership only to be disappointed by inventory, shop online first. Scour the inventory and then make a call. Inquire. Fill out a credit check online and head on in. Save yourself time and disappoint by knowing what is in stock and readily available before you go! Finally, if you really want to curtail timing, just plop into the ‘shop by budget’ area to define what you can and can not purchase in your price range. Easy, Peasy! Did you know that nearly 16 million Buicks were made between 1907 and 1999. Matt recently posted..“Pimp your Ride” – Cool things to have in your car! I had no knowledge of that ‘trivia fact’ so thank you, I love learning more and more! Car enthusiast!